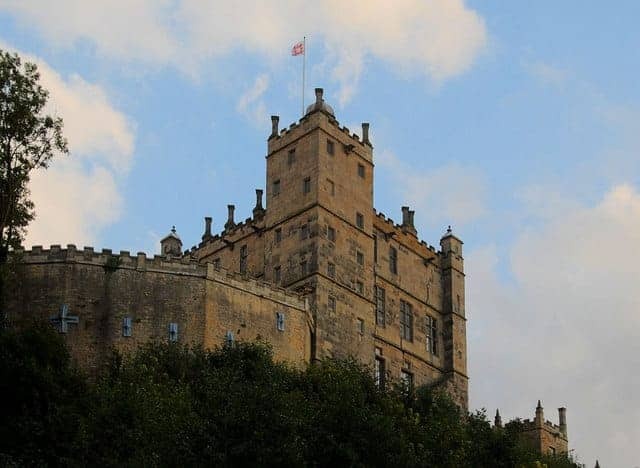 Bolsover Castle in Derbyshire was built in the early 17th century by the Cavendish family on the site of a 12th century medieval castle. Its ruins provided the setting for what was known as the Little Castle with a design resembling a Norman great tower. In the interior are massive Romanesque and Gothic vaults. The great windows give panoramic views across the landscape. In the well preserved state rooms are carved fireplaces, murals and panelling. The Riding House with its magnificent roof and viewing galleries is one of the earliest in England and a landmark in British equestrianism.